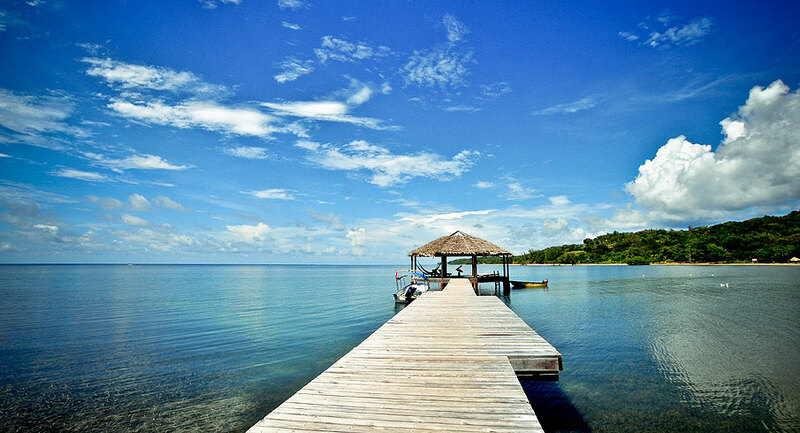 On a recent trip to the beautiful island of Roatan, I kept seeing lionfish on restaurant menus and a lot of all you can eat lionfish frys. There is even a Lionfish Derby set for late summer, with prizes given for the one who catches the most lionfish and one for whomever catches the biggest lionfish. 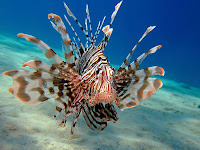 Being a huge lover of all kinds of fish to eat, but never having heard of lionfish, I started to ask around. I found out that restaurants were pushing the fish on menus and fishermen were encouraged to catch this creature. But why? Well, I soon found out. I did some research on the Internet and learned more about this very unusual but tasty fish. 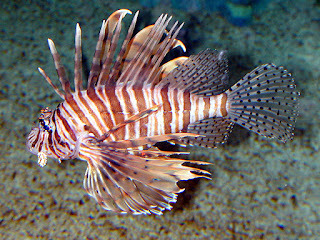 Lionfish are native to the Indio-Pacific, but are now established along the southeast coast of the US, Caribbean and in parts of the Gulf of Mexico. 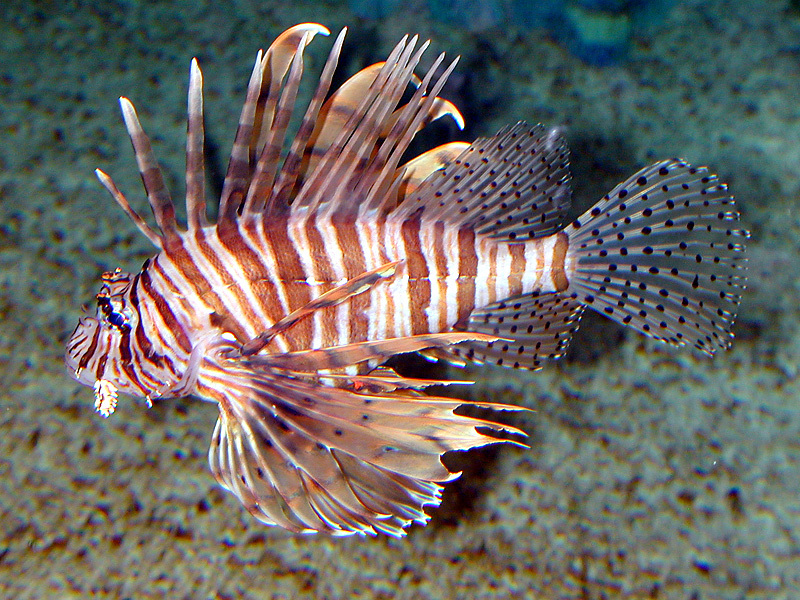 It seems that lionfish were accidentally introduced into the Atlantic ocean in Florida around 1997. I am not sure how that happens. Oops I just dropped my pet fish in the ocean? Since they are not native to Atlantic waters, they have very few predators. They are carnivores that feed on small crustaceans and fish, including the young of important commercial species such as snapper and grouper. 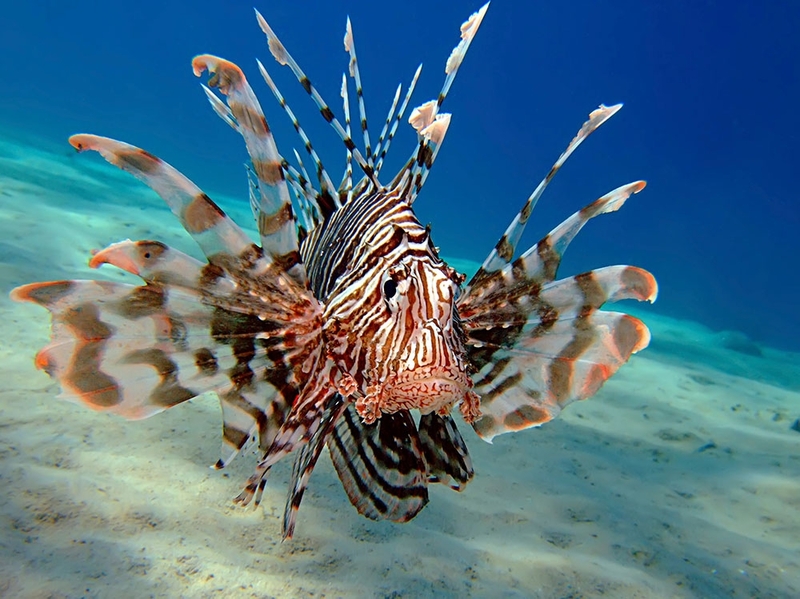 Thus, this invasive lionfish population will continue to grow as once they invade, they are very hard to eliminate. Non native species can dramatically affect native ecosystems and local fishing economies. Since the 2nd largest industry on Roatan, next to tourism, is fishing, let's do all we can to keep the populations of lionfish down. So, when in Roatan, eat lots of lionfish. 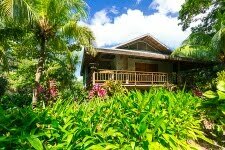 Also, when in Roatan, stay at the Tropical Garden Villa, a beautiful 3 bedroom, 2 bath villa with private pool and just steps from the beach.